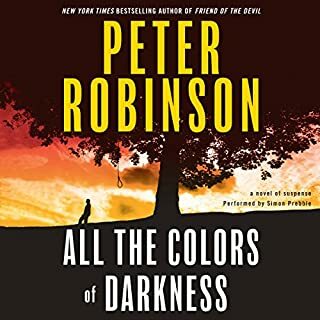 Once on the investigation of a murder case involving a costume designer and his older and wealthier lover, Detective Alan Banks finds himself plunged into a case where nothing is as it seems. More and more his own words about the victim's latest production, Othello, are coming back to haunt him, for "jealousy, betrayal, envy, ambition, greed, lust, revenge: all the colors of darkness" are quickly becoming his world as well. This wins my best read of 2017 award.A fantastic read! Full of depth, full of texture. A bitter divorce is only the beginning. First the father hires thugs to kidnap his son. Then the mother hires Spenser to get the boy back. But as soon as Spenser senses the lay of the land, he decides to do some kidnapping of his own. I've enjoyed every one of the Spenser stories so far. This one was particularly good. There's so much moral philosophy through it, about right and wrong. It's my favourite so far. Michael Prichard's narration is perfect. Two words: the bullet. That's all it takes to shatter her life. Caroline Cashion is beautiful, intelligent, a professor of French literature. But in a split second, everything she's known is proved to be a lie. 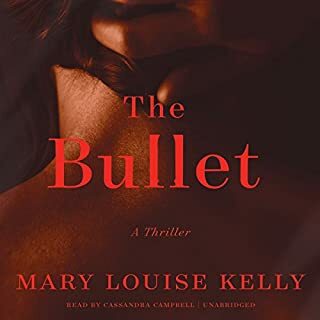 A single bullet, gracefully tapered at one end, is found lodged at the base of her skull. Caroline is stunned. It makes no sense: She has never been shot. She has no entry wound, no scar. Then, over the course of one awful evening, she learns the truth. "took a chance and glad I did"
Fantastic! What a great story. A gem. Probably my best read of 2016, along side of one other. 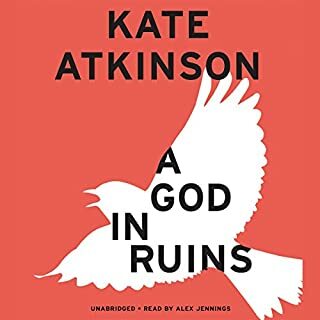 A God in Ruins tells the dramatic story of the 20th century through Ursula's beloved younger brother, Teddy - would-be poet, heroic pilot, husband, father, and grandfather - as he navigates the perils and progress of a rapidly changing world. After all that Teddy endures in battle, his greatest challenge is living in a future he never expected to have. 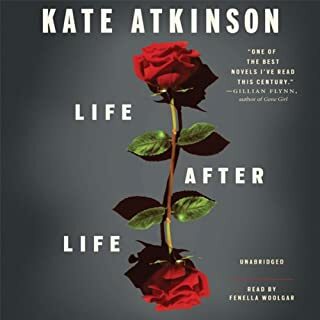 This book accompanies "Life after Life". I've read both books. Enthralling and enlightening. 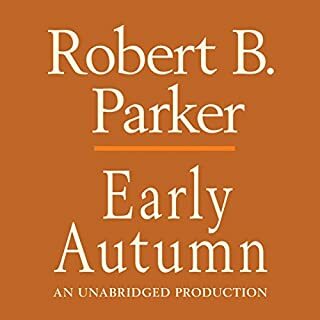 The stories connected me with my parents' past and helped me understand why they were who they were, and why understanding their past matters. I loved all the characters in the books. The skill of the writer is fantastic. I'm so pleased I read them. Great read. So different and imaginative. So far this year, it's my favourite for 2015. This book is the first Graham Greene book I've read And finished. I found it intriguing. It's quite different to anything I've ever read before. 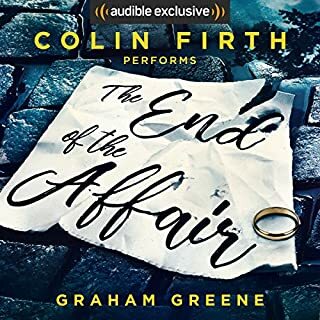 Colin Firth's narration made it very accessible. I think I was able to understand the story more through listening to Mr Firth's interpretation than I would have, if I'd read the printed word. When France’s top chef, Marc Fraysse, summoned the world’s press to make a shattering announcement, rumors abounded that he was about to lose one of his three coveted Michelin stars. Instead, on arrival at his remote restaurant on a volcanic plateau in central France, they were greeted with the news that the troubled genius had been murdered, and the message he intended to deliver was never made. Seven years later, his killing and the identity of his killer still remain an enigma. Love this series. Excellent writing, and perfect narration. I'm becoming quite attached to the character of Enzo Macloud. 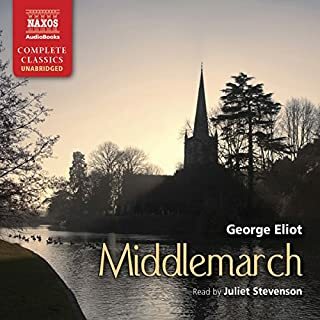 At last I've read Middlemarch. A really good story filled with insights into the human character. A woman with a murky past who kills herself-or was it murder? A dying old man cared for by the son he pummeled mercilessly. A lovely woman whose life is about to splinter into a thousand fragments. A professional shoplifting ring racking up millions in stolen goods. A brutal and unscrupulous gangster. A wandering husband, rich and powerful. A spoiled kid awash in gambling debt thinking he can beat the system. A lonely widower mourning the death of his lover, desperate for answers that may be worse than the pain of his loss. Love this series. 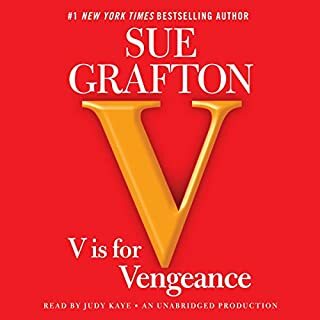 Sue Grafton has continued from A to V with the ability to retain good writing quality for every single book in the series. I look forward to the next episode. 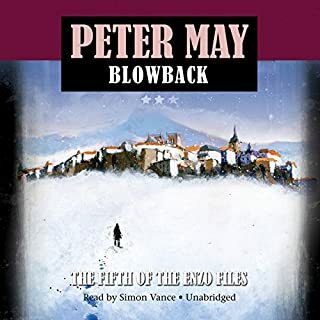 This is a stand alone story from Peter May, with a good plot driven core and an interesting historical backdrop. The narration is perfect. The characters are full of body. 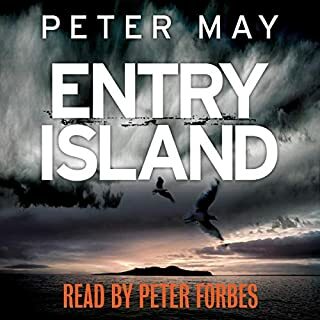 We enjoyed it and will be seeking out more of Peter May's work.